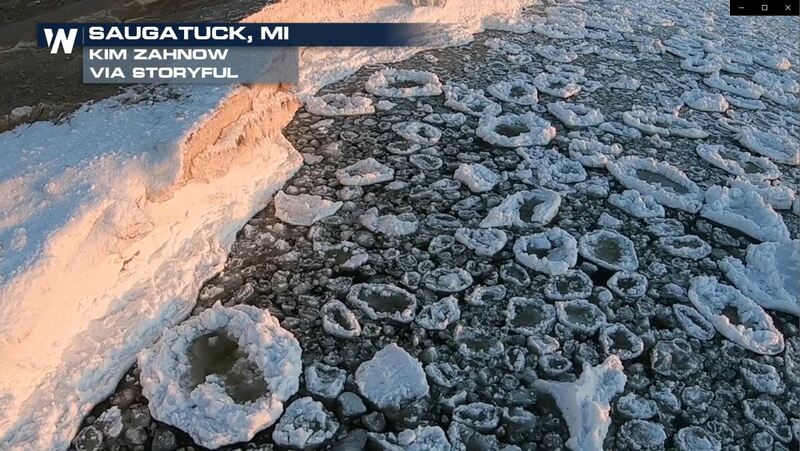 Our Top 5 videos of the week capture some of the scenes transitioning from winter to spring. Here’s what made our Top 5 videos for the week of March 17-23, 2019. Historic flooding across parts of the Midwest resulting in scenes like this in Nebraska. A cow got stuck in the mud and had to be rescued by heavy machinery. The initial estimated cost of cattle losses in Nebraska is more than 400 million dollars with historic flooding expected to continue through May. Many other Midwest states continue to deal with catastrophic flooding following heavy rain and snow melt as even highways were no match for the power of water. The total estimated damage cost of Midwest flooding so far it up to at least three billion dollars, displacing many families including this one in Bellevue, NE. A spring Nor-Easter made many spots look like it was still winter including at the top of Mount Washington in New Hampshire. winds here cranked up to 60 miles per hour, quickly dropping visibility! Wait, isn’t it officially Spring? On the first full day visitors on the south side of the Grand Canyon were greeted with snow all around! DID YOU KNOW? – The Grand Canyon averages more than 8″ of snow during the month of March! And finally, pancakes anyone? Lake Michigan served up something called pancake ice! When the water is choppy and there are thin areas of ice. they bump up against each other and then as the layers freeze, you get this “cool” phenomena. Do you think you can top these top five? Be sure to send us your best weather videos! Find us on social media @WeatherNation to share. Follow us on Facebook, Twitter, or Instagram to share.